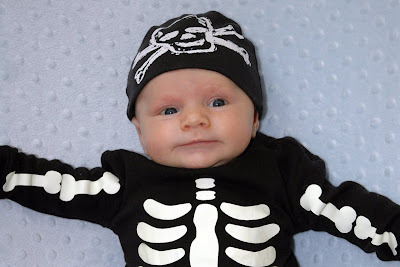 For Christian's first Halloween, we dressed him up as a skeleton. He tried to make a spooky face, but he's just too cute to pull off being scary. 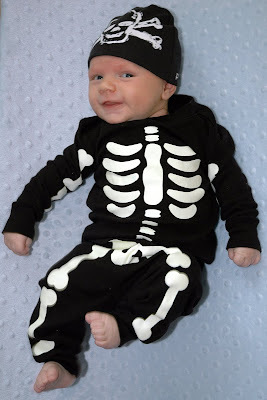 We don't know about you, but that's the cutest bag o' bones we've ever seen. 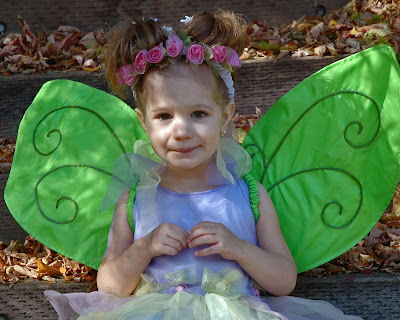 Ava dressed as a fairy this year. 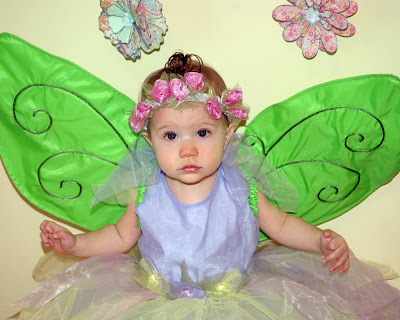 For those keeping score, this is the same fairy costume we dressed Ava in for her Fairy First Birthday party invitations. As you can see, it fits her much better now. Here she is showing off her fairy hairdo. 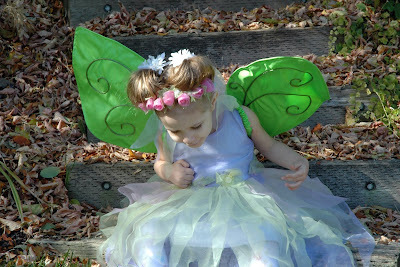 And here's a full body shot of our little fairy princess. During the afternoon, Ava and her cousins went to Little Haunts up at This Is The Place Heritage Park with Granny O and Freddy O. It was a very fun afternoon with trick-or-treating at pioneer houses, pony rides, Halloween crafts, a story-telling witch, and an amazing candy-shooting cannon. 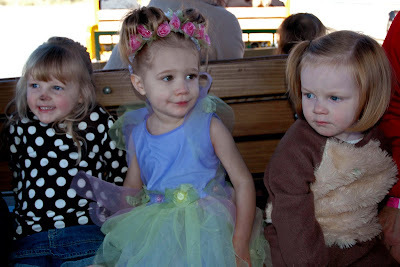 Here is Annissa, Ava, and Sophie on the train ride around the park. 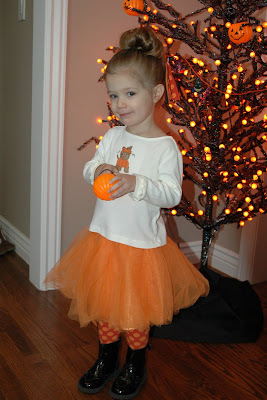 After arriving home, Ava changed in to her Halloween hostess outfit and helped decorate our Halloween Tree with some pumpkin ornaments from Grandma and Grandpa Furr. Since we had already collected a lot of candy on two separate occasions the day before (and Ava is a bit of a sissy when it comes to being out in the cold), we decided to stay in on trick-or-treat night. Ava quite enjoyed handing out candy and seeing all the different costumes of the trick-or-treaters that came to our door. We all had a great Halloween and are already looking forward to next year. 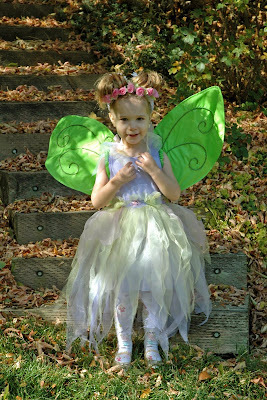 Christian looks darling in his "skelekon" (as my kids call it) costume, and I love Ava's fairy outfit! 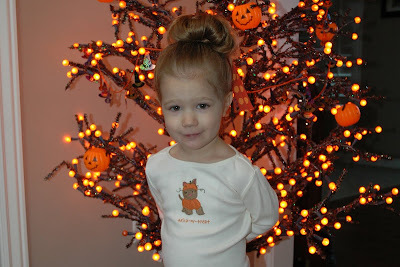 She looks just like Lauren in the Little Haunts pic! Cute, cute costumes, of course the kids make them! 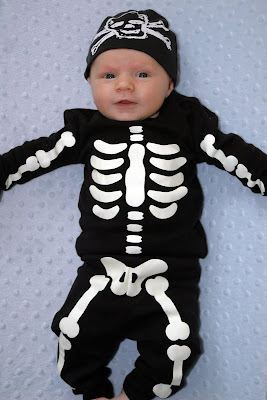 I love the costumes, especially the skeleton. What a great idea!